I’ve actually flashed many ROMs last week trying to find that perfect combo for my OnePlus One Lollipop Upgrade. During that process, I have found many problems with other custom ROMs like the phone calls not working, proximity sensor not working, bootloops, softbricks, and at one point it drove me crazy just trying to find the right Lollipop ROM. I mean most of the ROMs had no problems but there’s always that one annoying bug, that made it unusable. But the good news is that, I figured it out, I found a great custom ROM that will allow you to enjoy the latest Android 5.0 Lollipop along with some extra overclocking. The Sabermod CM12 actually comes with AK kernel, so it’s been designed to run really fast and stable. Inside the Sabermod CM12 ROM, you will find the OnePlus One Next camera and AudioFX app so you can keep enjoying the OnePlus One’s camera abilities and audio tweaking. For the camera, still camera works just fine as usual. For video recording, everything works fine also except 4K UHD mode but 4K DCI mode works fine, which is higher resolution video anyways. Now, the 4K DCI mode does lag a bit while recording but it doesn’t actually affect your recordings, it will play back fine normally. For root, make sure you first enable Developer Options by clicking on About Phone in Settings then enable root for apps and ADB. Otherwise root will not work but this is how root works for all Android 5.0 Lollipop ROMs. If you ever need some extra speed, you can overclock this ROM/kernel combo, simply use Trickster MOD app free on the Play Store. Go into General tab and set the maximum to 2.726Ghz or 2.88Ghz if you want to overclock it. I have tested fine on 2.88Ghz playing games for hours but I do recommend setting a bit lower at 2.726Ghz, which seems to be actually faster. 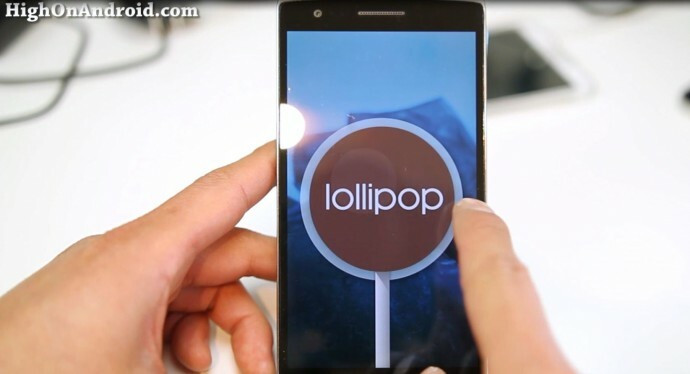 This will will get your OnePlus One just as fast as phones with the Qualcomm Snapdragon 805 processors like Note 4. And yeah, I have tested everything including voice calls, proximity sensor, 4G LTE data, bluetooth, NFC and they all seems to work flawless. Actually I haven’t found a single bug on this ROM/kernel combo. But make sure you try the version I tried as new versions may be different from what I’ve tried, I will put the exact files I used here. And if everything works flawless, then you can go ahead to upgrade to newer versions on your own. Overall, this is a great ROM/kernel combo that’s gonna get your OnePlus One on the latest Android 5.0.2 Lollipop with full root if you are not already on Lollipop. The performance is simply awesome, stability is hella stable, and battery life is also excellent. So, give it a go today and do let me know what you think! Installation is easy, just as usual. Credits – XDA user RobbieL811 + AK Kernel by XDA user AK <— Please donate to the developers if you like it or hit the Thanks button on XDA, thx! Thanks Max, I’ll install the “Blonde” rom to try out, he he. I wish they would send another one. Very nice! Runs perfect on my 1+1. Battery is not as perfect but still okay. Can you please update the link to the newest versions? What happens if I upgrade from the OTA Menu which is providing me Nightlies Builds from CM? Does this rom works for Sm N9005? What is your opinion about Validus LP ROM? Thanks!! Works like a charm! Several times I was regret having flashed cyanogen CM12 becase essentially the camera didnt work well (in fact mine didnt do most things it was supposed to…). I was looking forward giving up and go back to stock, but this ROM changed my mind! So, thank you again. If I want to revert back to CM11s after flashing, do I need to do an thing with the firmware or just wipe everything and restore my backup? Hi Max, i have a galaxy S4 phone and several months ago I upgraded to a custom rom similar to S5 with your guide.Everything was great and i trust you and your site with this kind of stuffs.Now i wanna ask you if i can install Android Lollipop on my Galaxy S4 aswell or this is only for newer phones? If it’s ok to install Lollipop on my phone, then i have to tell you that when i installed that custom rom on my phone I used clockworkmode.Can i still use this for upgrade or i have to go for TWRP?sorry if this si a dumb question, i forgot about manny things from the last time when I upgraded my phone. sorry for my last comment.I manage to use your conversion kit for one plus one phone.It looks great! I will stay on that for now and maybe after a month or two i will go for lollipop. Thank you Max for everything.I really like your site, it helps me a lot.Thank you very much! I did everything right… Its nice but everything looks kinda small…. Any help? change the DPI of your phone. Just serch for “DPI changer” on Google Play and lower the value a bit. Next story S-View Flip Cover w/ Wireless Charging for Note 4 Review! 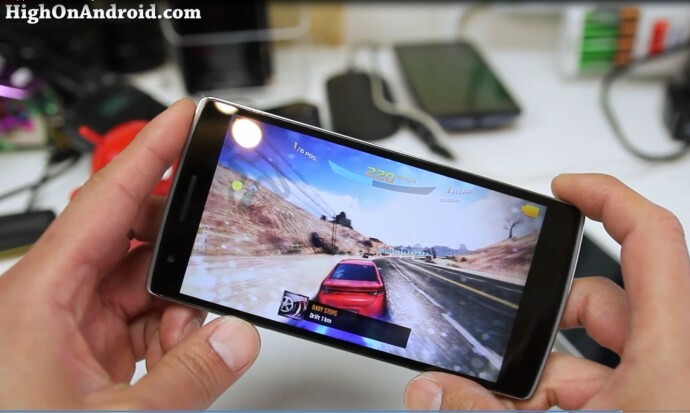 Previous story OnePlus One Review – Best Deal on a Smartphone!